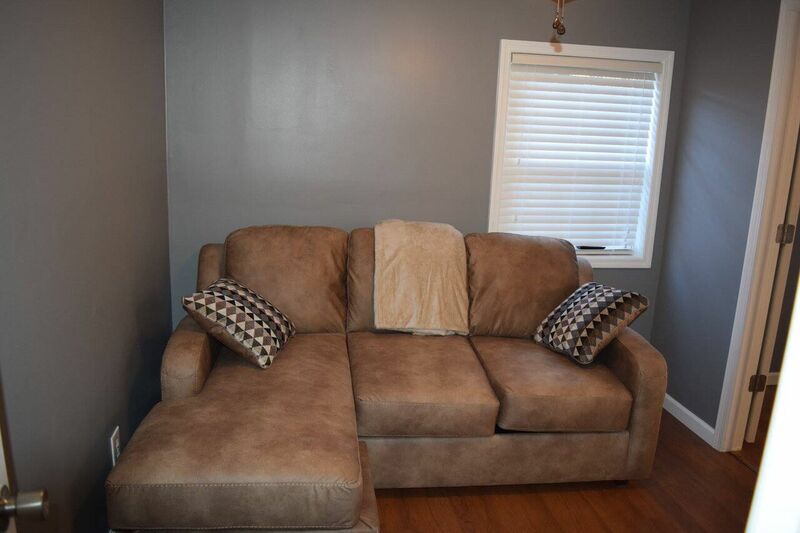 Enjoy the convenience of the Uptown Entire Lodge by renting both units for you and your guests. Your and your guests can stay in 6 Bedrooms, 3.5 Bathrooms, 2 Kitchens, and 2 Living Rooms. Both units include a full kitchen with dining table, dishwasher, all utensils, pots/pans, and dinnerware. We also supply all linens and towels for both units. Uptown Ole Lodging also offers all the little things that make a vacation especially enjoyable. Located conveniently in town, you won’t have to go far to pick up something from the grocery store or pharmacy, grab a bite to eat at the nearby Ole Jose restaurant, or site see in the historical town of Pineville WV. Pineville is an ATV friendly town, where you can ride your ATV along the town’s many businesses. No need to use your vehicle until you check out. The lodge is 2.5 miles from the Pinnacle Trail Head and the Twin Falls State Park is close by. When it’s time to relax inside, you’ll enjoy a clean modern decor with all the amenities. 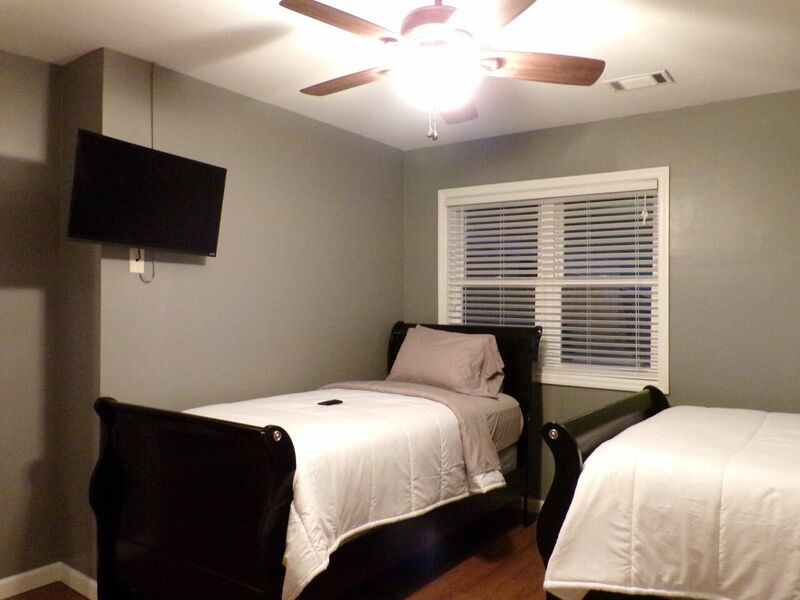 A Flat screen TV in the Living Room and each Bedroom, Free Laundry Access, Free Wi-Fi, and Central Air conditioning will keep you comfortable on the hottest Summer nights. Whether you’re out for an adventure or just want to enjoy a quiet getaway, Ole Lodging has so much to offer. We’re right around the corner from delicious dining at Ole Jose Grill and Cantina. Plus, take the short ride on your ATV to the scenic Pinnacle Trail Head, one of the Hatfield-McCoy Trails. The Hatfield-McCoy Trails offer 700+ miles of trails located in the rich mountains of southern West Virginia. Parking for approximately 4-trucks and 4-trailers for entire lodge. Additional parking is available at our Riverview Lodge or at Ole Jose Grill & Cantina restaurant. Please inquire about additional parking prior to check-in date if needed. 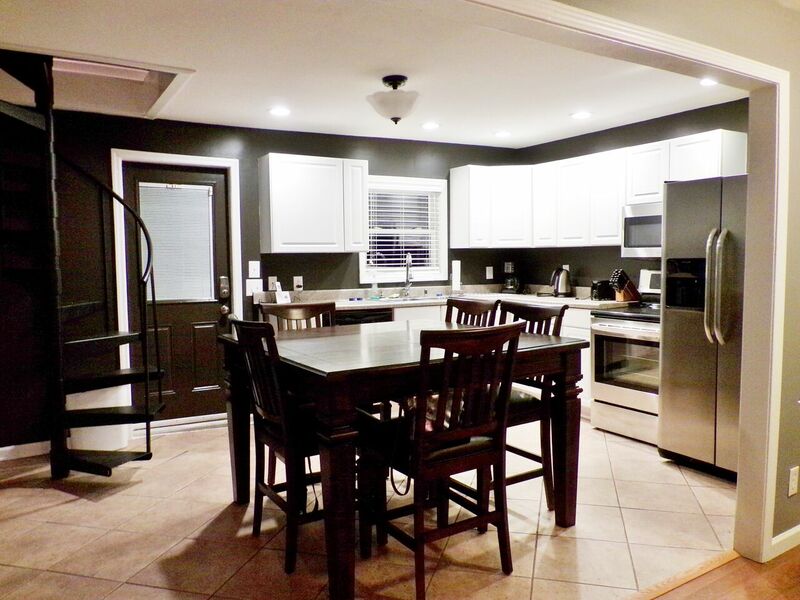 A full kitchen with dining table, dishwasher, all utensils, pots/pans and dinnerware. 3-night minimum on weekends, A 1-night deposit is required! 4-night minimum on holidays, A 3-night deposit is required! If trail-passes have been reserved, you will need to pick them up the next day after 9:30am when the restaurant opens for business or prepay and passes with maps will be placed in the lodge for you. BALANCE DUE MUST BE PAID IN FULL PRIOR TO YOUR CHECK IN DATE. Payment will be taken by the office assistant upon confirming your reservation. ON CHECK-IN DATE, YOU'LL BE CONTACTED AND GIVEN THE NECESSARY INFORMATION TO ENTER THE RESERVED LODGE UNIT(S). FIREWOOD: By law, you cannot bring in firewood from other states. Therefore, as a courtesy through a third party, we are able to supply and deliver to your designated “unit/lodge” by your reservation date. Once you have reserved the load (approx..100 pieces), and it’s delivered, it’s yours and must be paid upon check-in “CASH BASIS” (no exceptions). If you come into town earlier than the check-in time and your unit /lodge is not ready/available. You are welcome to register early and drop your trailer(s) at the Lodge site and hit the trails.